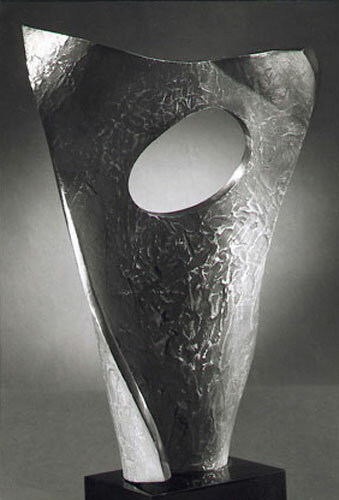 The works in this series were accomplished using the sand-cast process. Gord has always been fascinated by and experimented with, the effect of the relationship of shapes, surfaces and materials. This is very evident in both cast and welded pieces of this period as well as the current use of wooden dowels—a medium that no other artist has ever attempted to use.